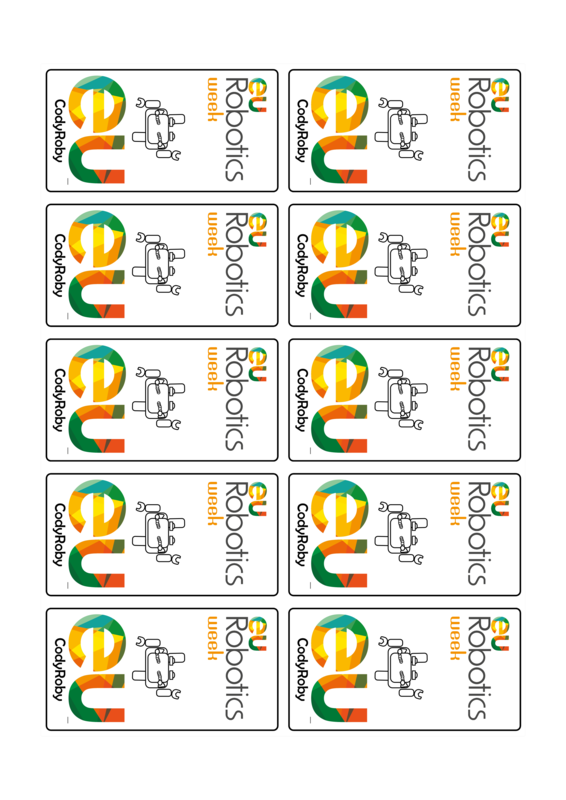 This page is just meant to provide the links to the png and pdf files that compose the EU Robotics Week edition of the Cody-Roby starter kit. 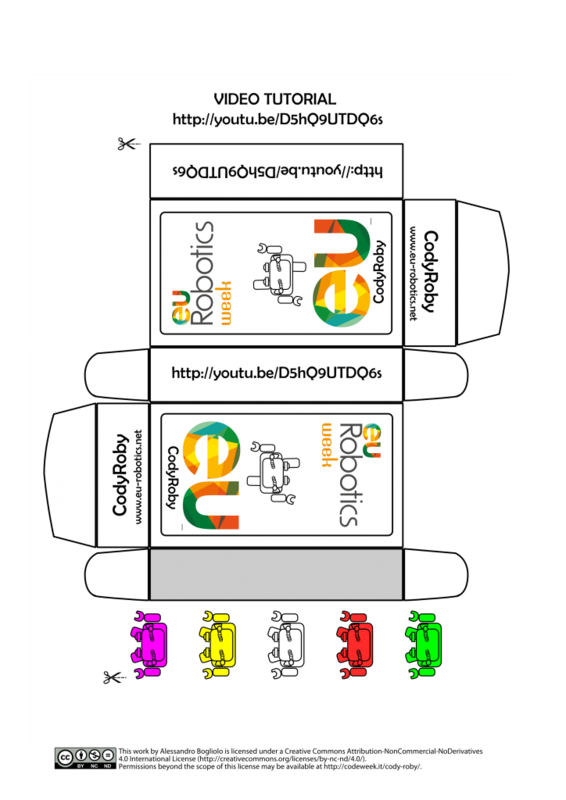 Please refer to the Cody-Roby page for general information, and on the video tutorial for building the kit. 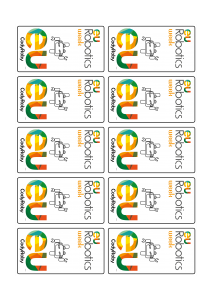 The kit has to be printed out on 6 sheets of standard A4 paper: a board, a folding box, a page with 10 move-forward cards, a second page with 10 more move-forward cards, a page with 8 turn-left cards and 2 additional move-forward cards, a page with 8 turn-right cards and 2 additional move-forward cards. Each page is provided both in png and in pdf format. Please use pdf files for high quality results. The four pages o cards are also provided with fancy card backs. Card backs are optional. If your printed does not support double sided printing just print the front pages on regular printer paper. Specific instructions for professional printing are provided for each page, specifying both the weight and type of paper and the printing options. Pdf files have to be used to this purpose.